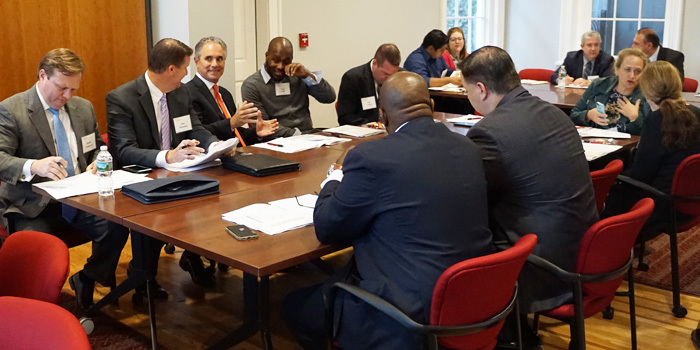 On Tuesday, October 25th, WRI held its annual Advisory Board meeting. 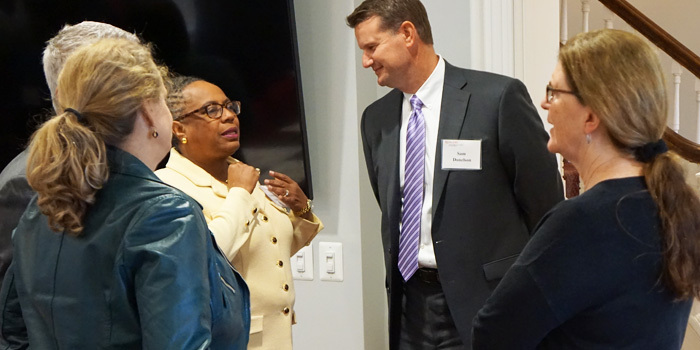 Members from across South/Central Jersey convened at the newly remodeled Rutgers Alumni House on Cooper Street in Camden. 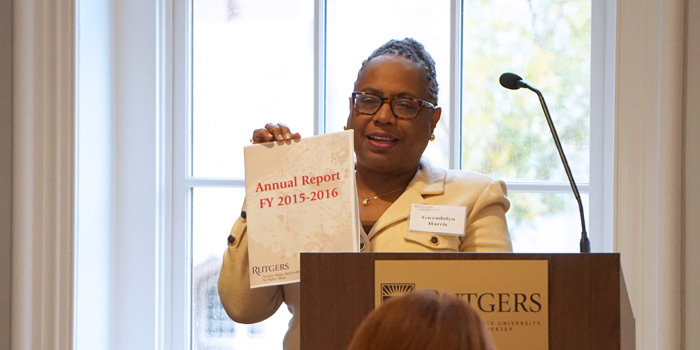 Gwendy Harris, Executive Director at WRI, opened the meeting with a “WRI’s Year in Review” which highlighted the Institute’s top ten accomplishments for FY ’15-’16. 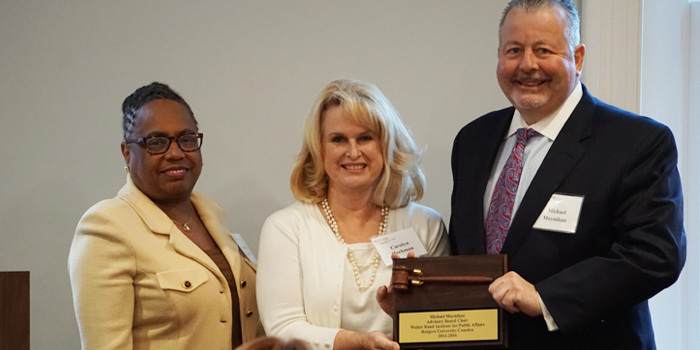 These accomplishments ranged from the beginning of a new Juvenile Delinquency Prevention effort in Burlington County to acquiring funding for the establishment of an endowed scholarship which will be presented at next year’s Annual Fundraiser. Gwendy continued her introduction with ten items awaiting WRI in the coming year, including: the presentation and community discussion of research projects by Rutgers-Camden faculty members (Janice Beitz and Shauna Shames) and a poster accepted for submission detailing Pascale Sykes South Jersey Strengthening Families Initiative. The poster will be presented in Vienna, Austria in March 2017. 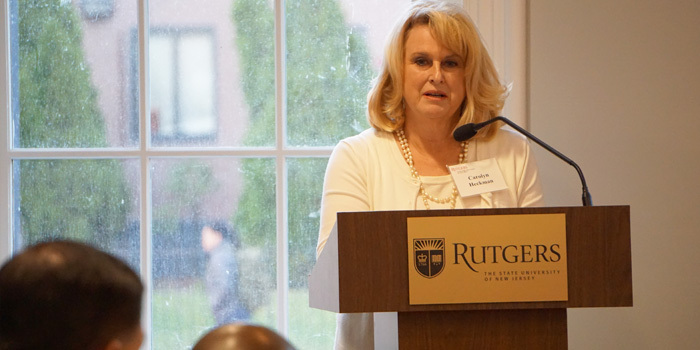 Dean Lindenmeyer recognized WRI for its commitment to Rutgers-Camden and civic engagement throughout South Jersey. 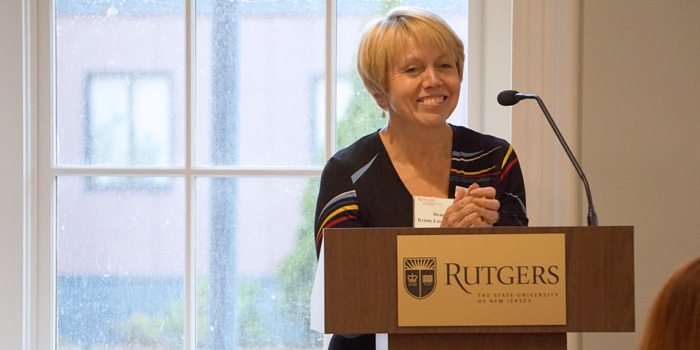 She also updated Board Members on the exciting changes coming to Rutgers-Camden over the next few months and how WRI will be an important part of the future. 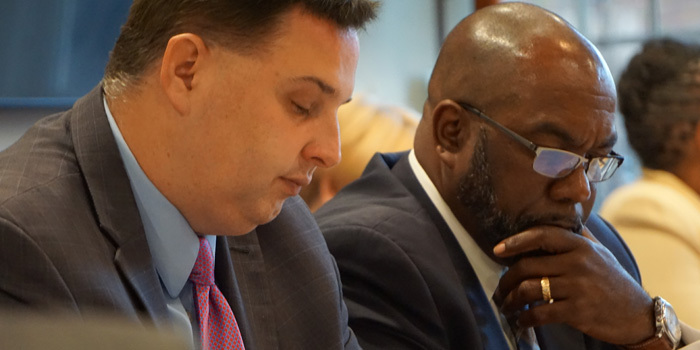 During the ‘Official Business’ segment of the Meeting, the Chair’s report was discussed, purposed changes were approved, returning Board Members were re-elected, nominations for new Board Members were approved, and a new Board Chair and Vice Chair were elected. Mike Moynihan (outgoing Board Chair) handed over the reins to newly elected WRI Advisory Board Chair Carolyn Heckman. Carolyn and Gwendy presented Mike with a plaque of appreciation for his time as Board Chair. Carolyn Heckman then addressed the Board and outlined her vision for the upcoming year and asked each individual Committee Chair to take time and speak to the Board in its entirety about what goals for the coming year. Before the meeting adjourned, each committee came together and discussed how to best contribute to the success of the Advisory Board during FY ’16-’17. 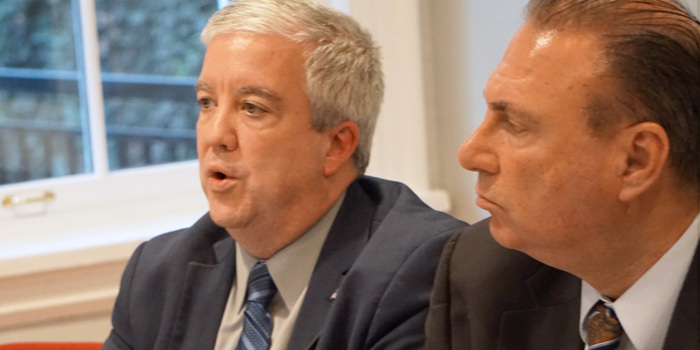 Overall, the Annual Meeting was both successful and productive. This page was printed from http://rand.camden.rutgers.edu/2016/10/31/advisory-meeting-recap/ at 4:52 PM Monday, April 22, 2019.